Party Down, a half-hour comedy series that ran on Starz network from 2009-2010, is the funniest damn show you’ve never seen. Sadly, though it was a favorite of television critics, Starz cancelled the show after only two seasons due to low ratings. The series features an oddball group of aspiring actors and screenwriters in Los Angeles who work as catering waiters to pay the bills. The cast reads like a “who’s who” of some of the best comedic actors working today. It includes, Adam Scott, Jane Lynch, Lizzy Caplan and Megan Mullally along with an assemblage of amazing guest stars. It is laugh-until-you-cry funny. And, lucky you, Party Down is streaming on Netflix. 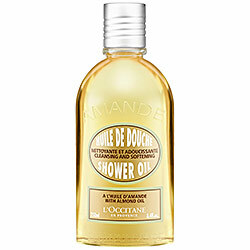 L’Occitane’s Almond Shower Oil is heavenly! Like so many of L’Occitane’s products, this stuff smells divine and the light, almond scent stays with you all day. It’s darn near magical as well. When you pour out Almond Shower Oil, it has the consistency of a thick body oil, but mix it with water and rub your hands together, and it transforms into a foamy body wash. Amazing, I tell you! It moisturizes like an oil, but doesn’t leave you feeling slimy. This shower oil is the absolute best thing for keeping your skin from getting dry and flakey in the dry winter air, so stock up now. OK, I’m not one who falls for “As Seen on TV” gadgets and I probably would have pooh-poohed this one if a friend hadn’t recommended it to me. I love my Chop Wizard! As the name indicates, It’s wonderful for dicing onions quickly and easily, but you can really use it to chop virtually any vegetable or firm fruit. 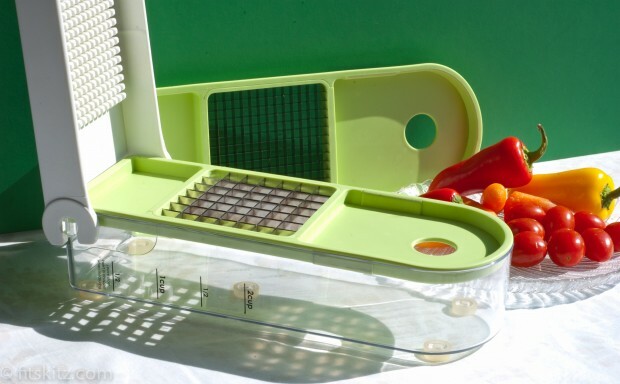 You should see how fast I can whip up a batch of veggie chili using this baby! I like to chop up a couple onions all at once and then freeze them in separate zip-lock freezer bags. That way, I always have diced onions ready when I’m trying to throw together a quick meal on a weeknight. The Chop Wizard can be thrown in the dishwasher and all the parts pack up together for storage. Good lord, have I officially turned into a housewife, or what? I never thought I’d see two children fighting over who gets a book of math problems next, but Biggie and Smalls both love Bedtime Math (and will argue about any damn thing, so I guess I shouldn’t be surprised). Biggie is an avid reader with simply no time for math. The sight of a math worksheet is enough to throw her into an instant homework tizzy. Smalls, on the other hand, adores math and could do word problems all day long. Amazingly, I found this series of books that’s perfect for both girls. 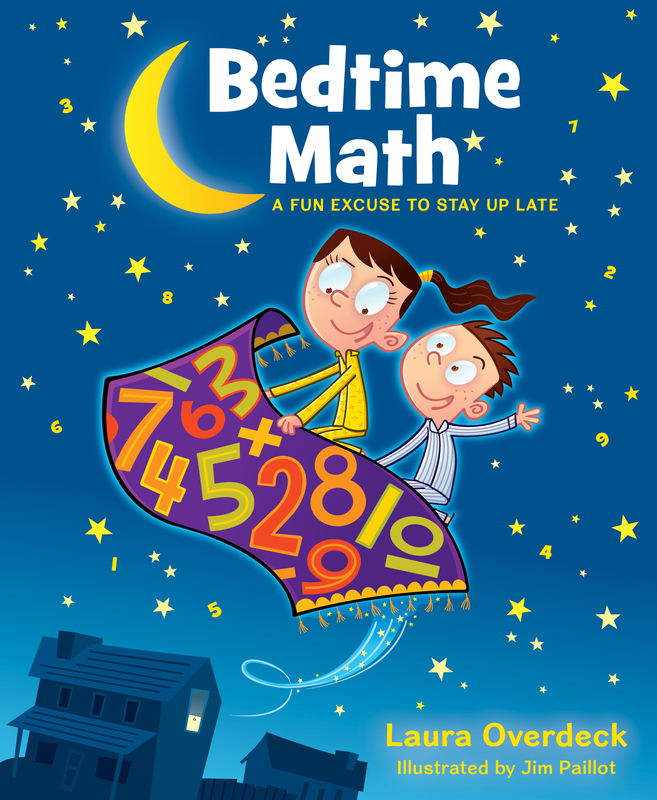 The problems in Bedtime Math are humorous and the illustrations are fun and colorful. Also, each “story” is followed by three different levels of problems, so the books work well for a range of ages. I consider myself a bit of an ice cream aficionado. Hell, the amount of it I ate during my two pregnancies alone gives me the right to judge. And, in my humble opinion, Jeni’s Splendid Ice Creams are the absolute best. They’re insanely creamy and chock full of the world’s freshest, yummiest ingredients. (Sorry…I’m prone to hyperbole when it comes to Jeni’s ice cream.) Jeni’s has some amazing year-round flavors like my two favorites: Salty Caramel and Brown Butter Almond Brittle. Jeni (yes, there is a real, live Jeni) also does a range of seasonal flavors that you sure as heck won’t find in your usual grocery store freezer section. The recent “Late Summer Harvest Collection” included Roasted Strawberry Buttermilk, Backyard Mint, Sweet Cream Biscuits and Peach Jam, and Sweet Corn and Black Raspberries. I mean, come on! 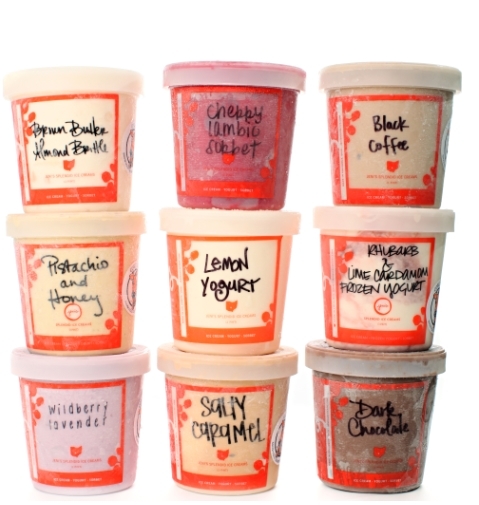 Jeni’s, which is based in Columbus, OH, has opened a handful of “Scoop Shops” in the US, but can also be found in gourmet stores and ordered online from Jeni’s website.